Cheese, the fruity, tangy, cloying, creamy concoction adds certain richness to life. 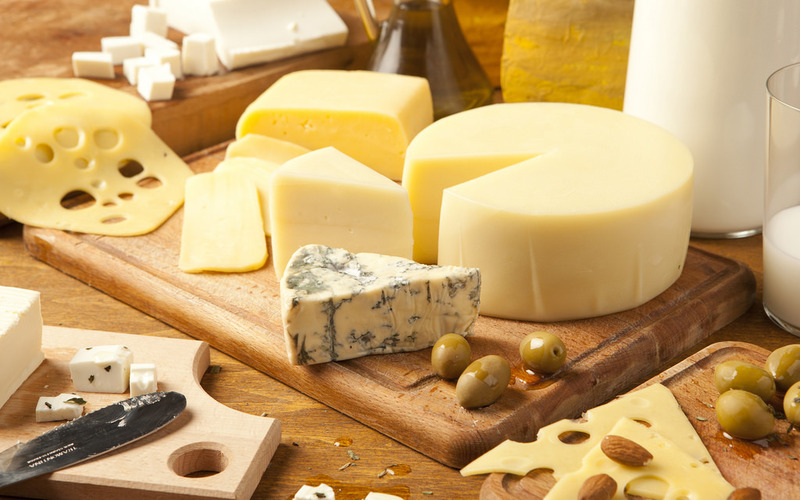 A British Cheese Board survey reveals that 65% of adult respondents state that cheese is their favourite food. It’s a staple in people’s daily diets simply because they cannot do without it. Think about it, how many sandwiches have you had without cheese? Pasta without cheese? Excluding cheese from some things just doesn’t seem right. Imagine pizza without cheese. At that point, you’re really just having bread with sauce. Cheese is something we can all agree on, a necessity to life. With that, I think it’s time to learn a valuable lesson: how to put together a proper cheese board. A perfect accompaniment to parties and gatherings, a cheese board can sit out for an entire day (depending on the cheeses served) providing guests with a satisfying pick-me-up when the alcohol starts to kick. One of the first things to consider before choosing your cheeses is whether to theme the board. Will you feature French cheeses? Have a chat with your local cheese-monger and ask if the local varieties are worth their own board. Once you’ve decided whether or not to go with a theme, the next thing to determine is how many cheeses are to be presented. Traditionally, a cheese board has five cheeses: hard, soft, goat’s, blue, and a smelly one. However, for cheese and wine parties, no more than eight varieties are recommended, per Cheese Works. Wonderfully varied, cheese can mean different things to different people. The word alone conjures up a bevy of different tastes, textures, and smells. The first thing to bear in mind when picking out cheeses is to have a range of choices from different milk types, strengths, shapes and flavours. It’s best to choose artisan cheeses, or rather, those that are not commercially-made and found in grocery stores. More expensive on the whole, these cheeses are made with care. Try to select cheeses of decent size. As a rule, have an ounce of cheese for each guest. If you have eight guests, you should stock up on 2.5 pounds of cheese. For a full guide to cheese choosing with examples, head over to Big Hospitality. Ensure that cheeses are stored in a sealed container. Cheese will absorb flavours in the air, so it’s best to keep them well-stored in an air-tight container. Alternatively, cheeses can be wrapped in wax paper then tightly sealed in plastic wrap. Proper storage will lock in moisture. One to two hours before serving, remove the packaging and allow the cheeses to come to room temperature. Cover them with a damp cloth. Arrange the cheeses on your slate board in order from mildest to strongest, going clockwise. Leave at least an inch of space between cheeses and provide a separate knife for each variety. Don’t forget to label each of the cheeses either on the slate board or with tiny signs. Tell guests to sample cheeses in this order (from mildest to boldest) so as to not overwhelm the palate early on. Serve them as they are without cutting off more than a couple slices, leaving the rinds intact. Presenting the cheese as is makes for a beautiful board and allows guests to slice their own slices. For drinks, it’s perfectly acceptable to serve two varieties of wine; a white to go with milder cheeses and a red for the bolder ones. Port is another classic pairing, working especially well with strong cheeses. For fresh nibbles, you can’t go wrong with refreshing and uplifting fruits and veggies. Celery is a classic pairing as are grapes and apples. Pull out the figs and dates if you’re feeling exotic. Tropical fruits have too sharp of flavours to go well with cheeses. For filling nibbles, nuts go over extremely well. Bread is a classic counterpart to the cheese board, allowing guests to see how differently a cheese tastes when paired with bread. Crackers have the same effect. For spreads, chutneys are a popular classic for British cheese boards.